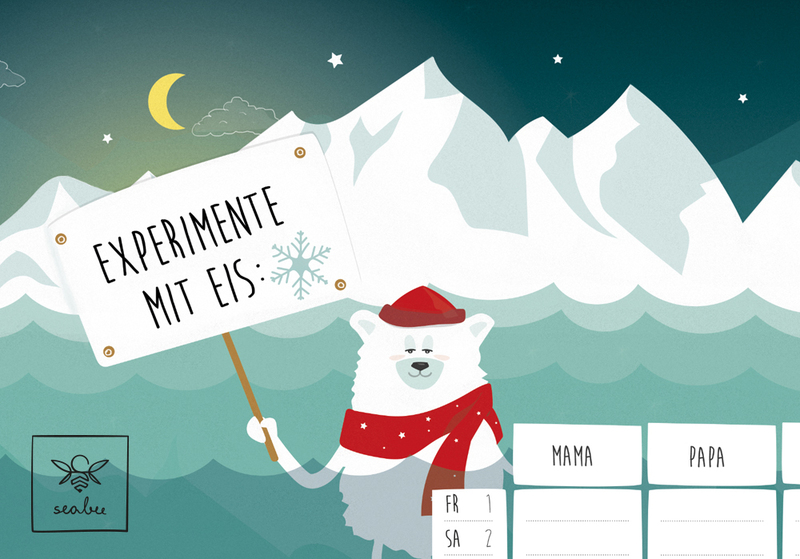 I’m very happy to announce that after illustrating for the 2015 issue of the Spö family calendar I am going to design the entire calendar for 2016. As there is still some time until 2016 I decided that I can just not let you wait until then, so the least I can do is to provide some insights of the creation process through my blog. I hope you are going to enjoy the creation of each page as much as I do. January is going to be an exciting month on the 2016 calendar! The kids are going to be asked to experiment with ice. Therefore I created Noah the polar bear who is going to assist the kids through their experiments. 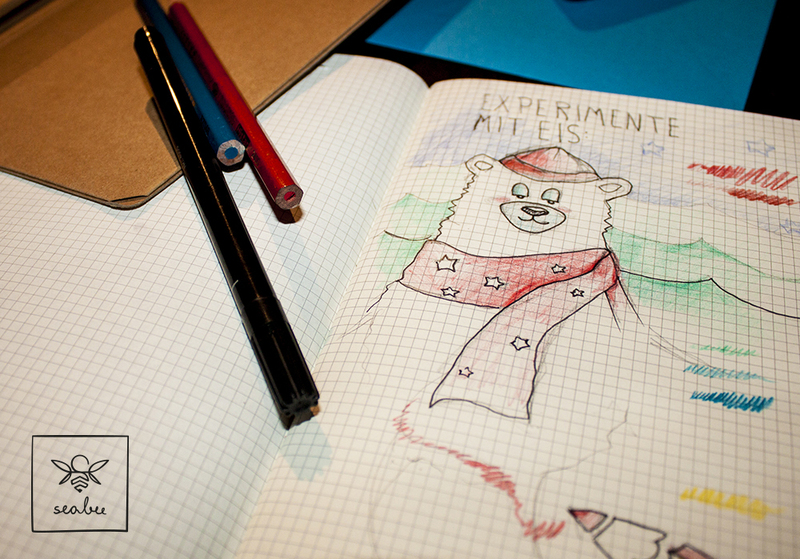 This is the first sketch of Noah, he is smart, patient and of course also a very cuddly bear. Noah is going to be the key illustration on the first page of the calendar and he is also going to make new friends on the other pages. There is going to be an exciting game to be played in February, find out more on the next post. then you best keep in touch with me through subscribing to my news list.